Memories are tricky; we can remember something irrelevant from when we were 5 years old, but at the same time, forget someone we've only met the week before! It is important to know how to remember something when the need arises, because in our everyday life, we have to remember a lot of information - people's names, dates and places, appointments, grocery lists, theories and formulas and whatnot. If you are the type of person who has trouble remembering information, don't despair; you are not the only one with this problem. There are a number of techniques to help you remember something that you should remember. If you are looking for tips on how to remember something, here are 9 effective ones that will surely help you. Remember how we used to recite the ABCs a million times in school so that we can memorize it thoroughly? That's actually the number one practice in learning how to remember something - to practice it again and again. So, whenever you need to remember something, say it again and again until you have it imprinted in your memory. Saying "13D" over and over again will help you remember where you have parked the car, or mumbling "Dinner with Paul at 8" a couple of times will help you remember the appointment later when you need to. If you have an idea about mindfulness, you would know what I am talking about. Most of the time, we forget what we want to know is because we have been unmindful about it. A good way to know how to remember something is to be mindful at everything that we do all through the day. Whatever it is that you are doing throughout the day - drinking your morning coffee, having a conversation with someone, making an appointment or planning something in advance - try and concentrate on what you are doing. Give the task at hand your complete attention and you won't forget what you need to remember any time soon. Another good tip on how to remember something would be to remember something in a whole scenario rather than just a single piece of information. If you are trying to remember the name of the hotel you stayed in on your last vacation, instead of just trying to think of the name, try to set up the entire scene. Try to remember what the hotel looked like, any particular feature you liked about the hotel, the rooms, and the reception - everything about the hotel until you can remember the name. 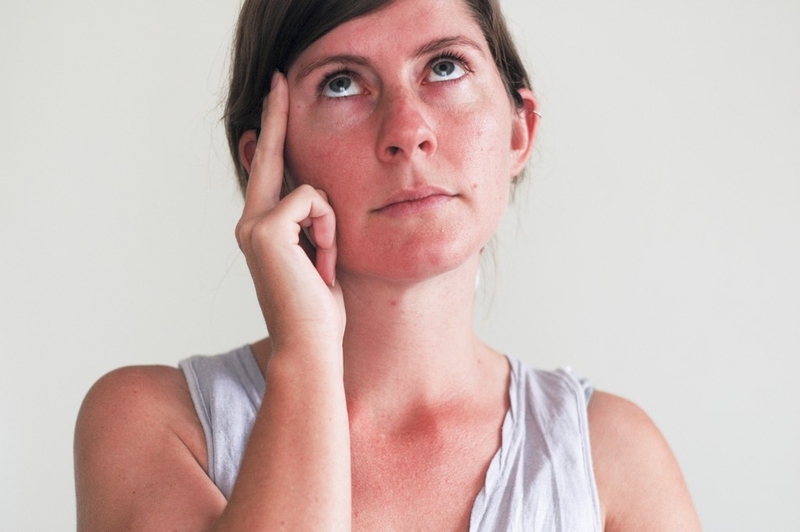 When you are concentrating too much on trying to remember something, close your eyes. When your eyes are closed, you are blocking away a lot of the distractions that are in front of your eyes and focusing on the memory only. Closing your eyes ensures that you are only thinking of what you are trying to remember, and that you are not looking at whatever is in front of you trying to distract you. The human mind might be capable of remembering a million things, but that doesn't mean you have to remember everything. There are a lot of things that we don't need to remember these days - birthdays, phone numbers, grocery lists or appointments - when you have a reliable smart phone with you. It's okay for you to upload all these information on your phone or a notebook, saving space in your mind for important information that only you need to know. Since technology is helping us so much in learning how to remember something, why not take the opportunity? When you are remembering a bunch of words, try making up a story about them. For example, if you want to remember a list of names of vegetables, try something like this: "So when the tomato called up the celery and asked if it wants to go shopping, potato and carrot were there to ..." In the same way "A lady named Esther who was from Estonia walked into a Tall Inn" will give you the name of the country "Estonia" and its capital "Tallinn". Use Mnemonics to remember big words that you are new to. For example, "Curmudgeon" becomes a "grouchy person who will curse you, throw mud at you and throw you into a dungeon". In the same way, "May I have a large container of coffee?" gives you 3.1415926, the value of pi, when you count the alphabets of each word. If you are trying to remember something, use the power of association to attach the word to something else. If you've just met a man named "Charlie Middleton", take a minute to imagine him eating a bar of chocolate, like the character from the children's storybook "Charlie and the Chocolate Factory", living in a house in the middle of the town. The next time you meet him, imagine the scene again, and you will automatically come up with his name. If it is not too important, give up trying to remember for the moment. When you stop pressuring your mind to come up with the answer in a hurry, your sub-conscious mind will take its sweet time and come up with the correct answer in no time. Your brain - most of the time - doesn't like to be interrogated under pressure; give it space and it will tell you the answer.